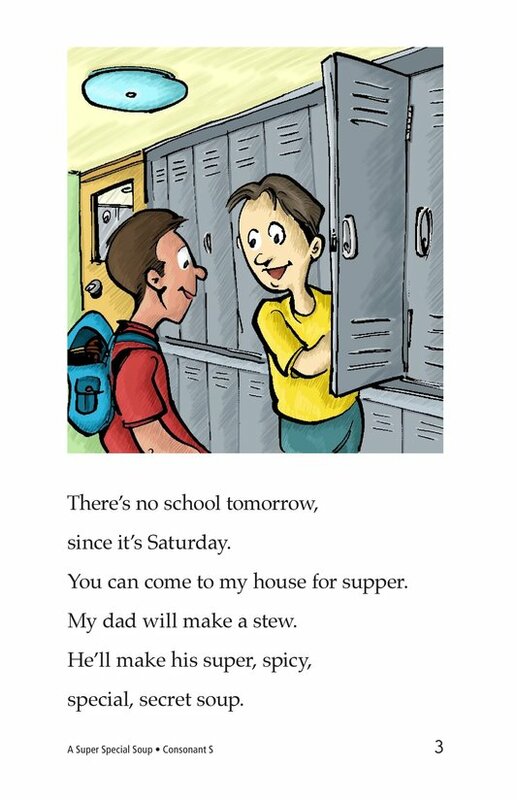 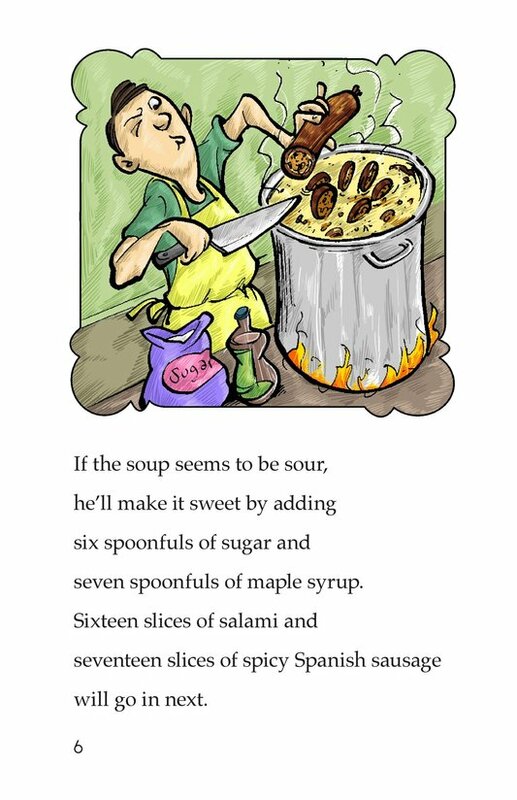 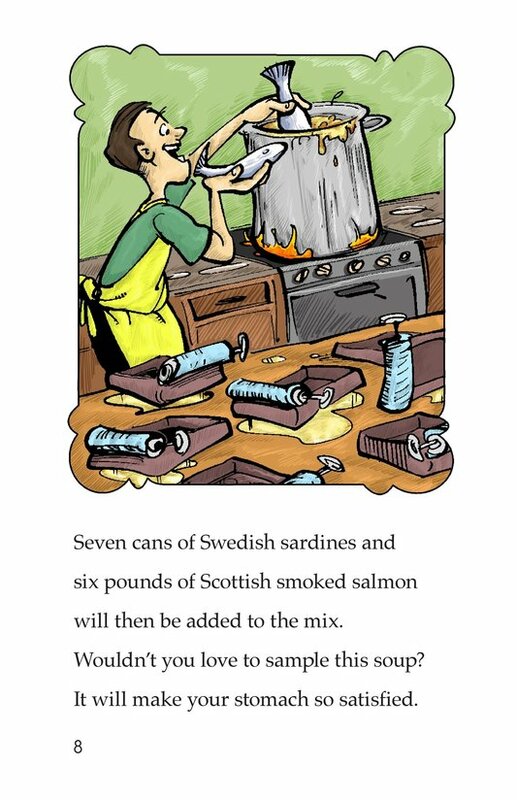 The narrator invites his friends over on Saturday for a special soup. 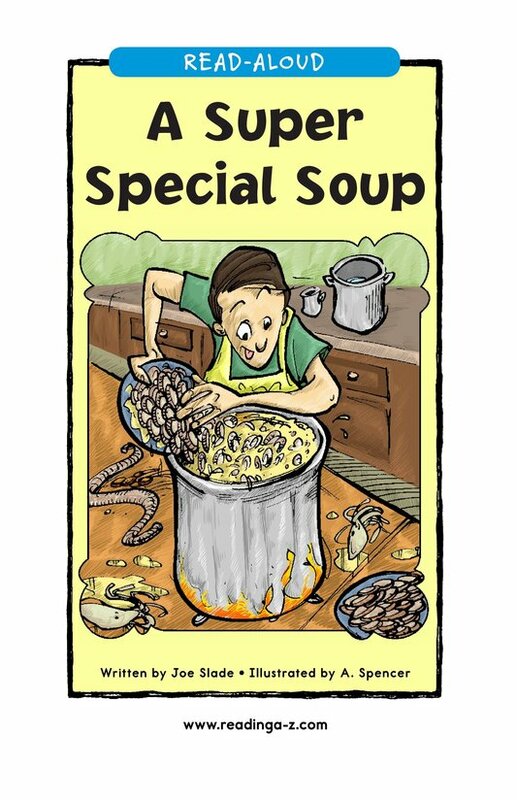 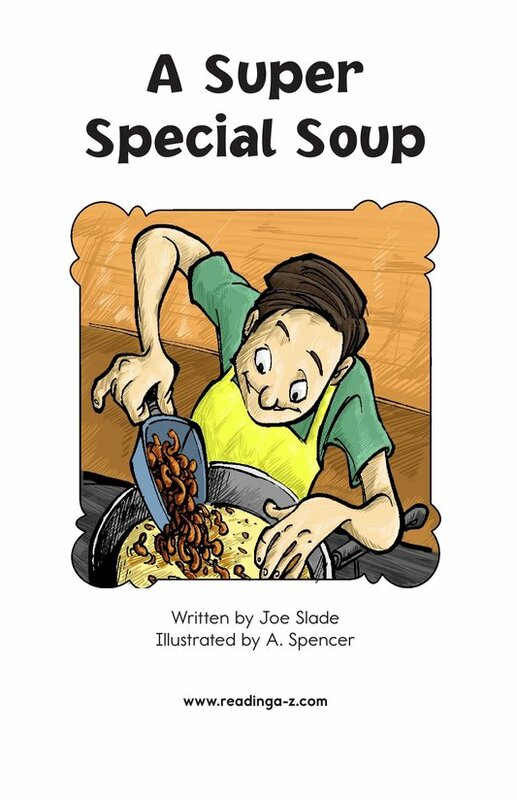 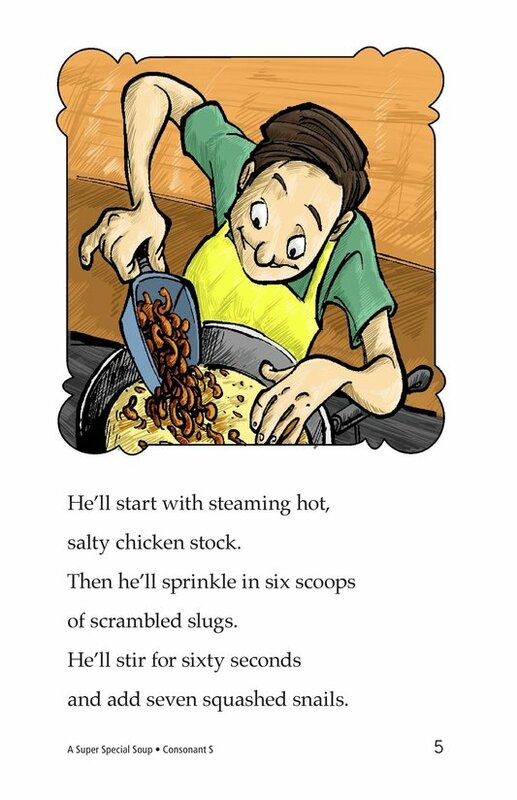 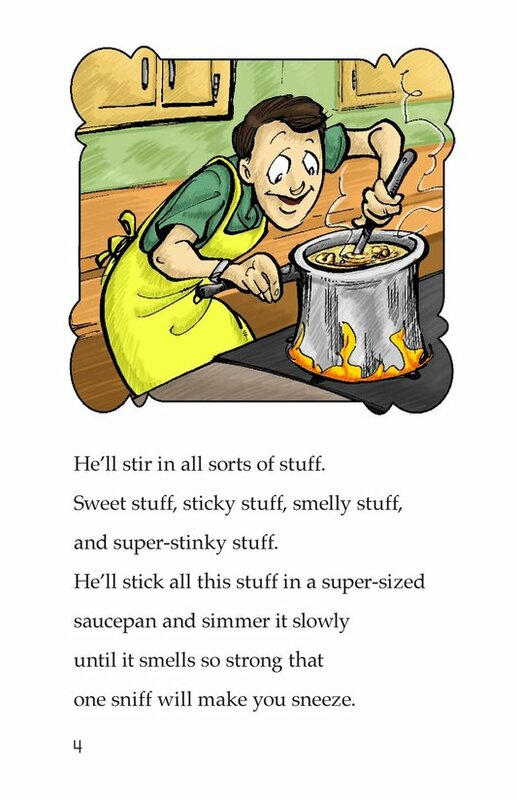 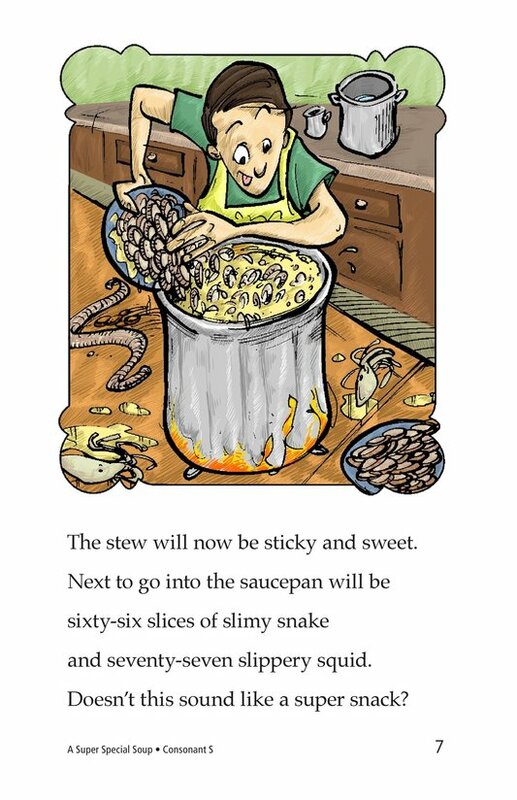 He describes the contents of the soup, which include scrambled slugs, squashed snails, slippery squid, and slimy snake. 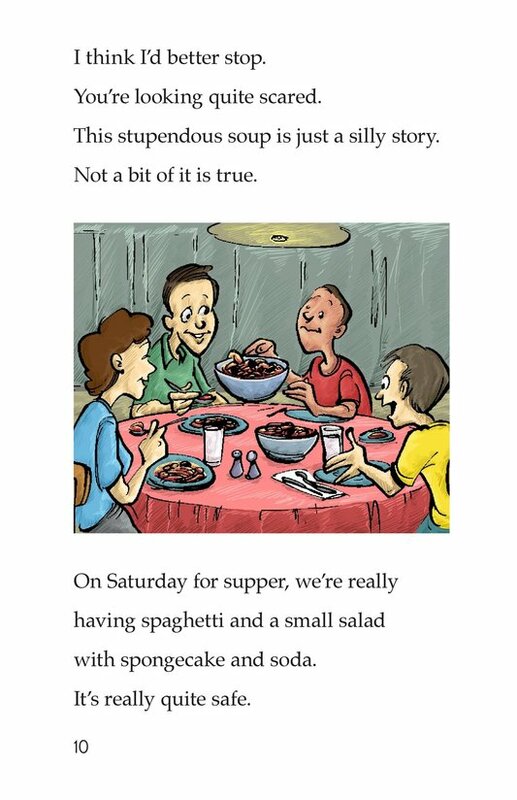 At the end of the story, he reveals the real menu for Saturday's supper: spaghetti, salad, spongecake, and soda. 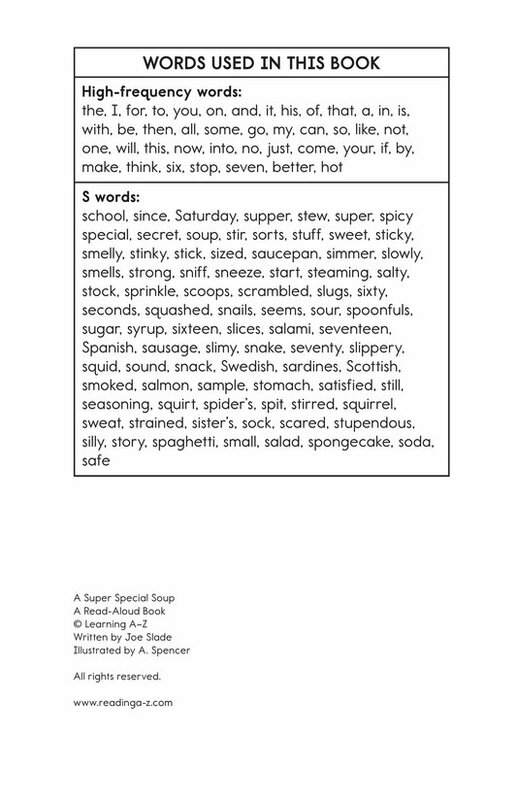 Introduce and expose students to the /s/ sound represented by the letter s.